We know you. You created a race event for a reason. Whether it’s to honor a legend in your community or to raise funds for a charity that’s changing lives in hundreds of communities. Whether it’s for the grit and athleticism of the sport or the thrill and adrenaline of hundreds of finishing times. No matter why you created your race event, the one thing any race director wants to achieve is a race that’s memorable this year and for many years to come. That’s why we’re for you. 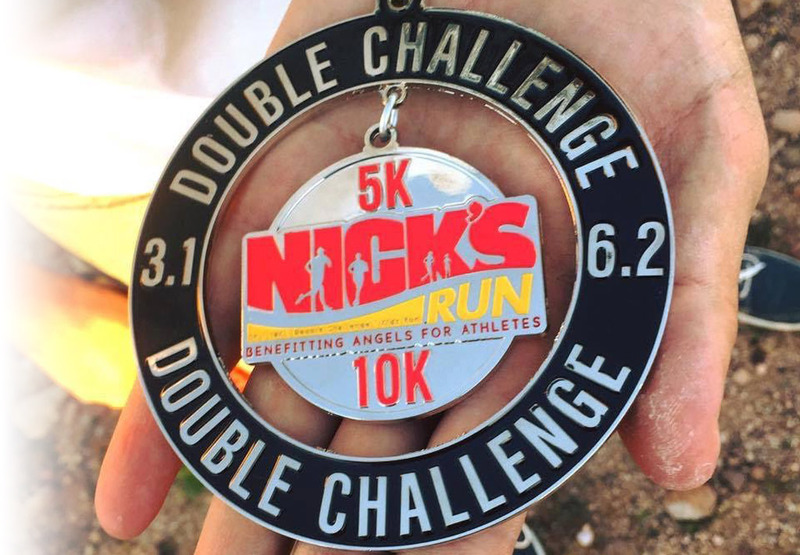 Custom Race Medals are an elegant and unique way to separate your event from the pack. When you go custom, you create more than a medal; you create a memory to last a lifetime. 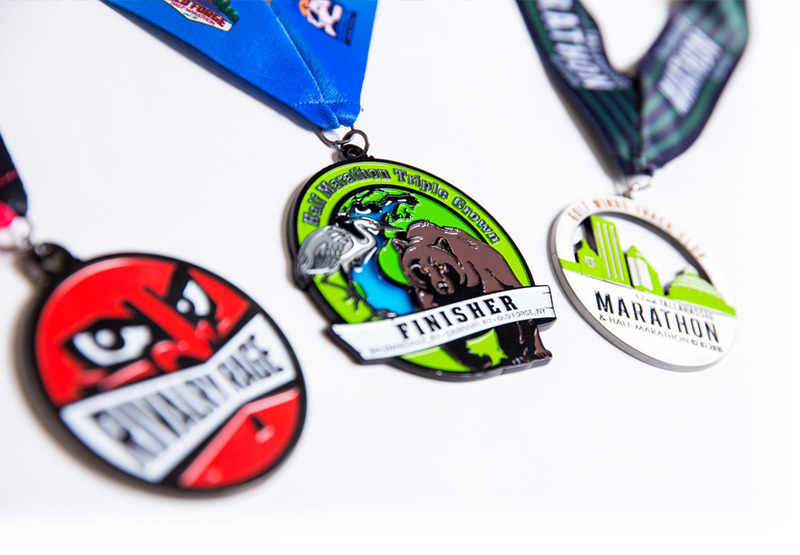 Our race medals can come in the form of your chosen shape or design, or our award-winning art department can create one based on your specific tastes. It’s what separates a winner from the rest of the pack. And at Stride Awards, we know that mediocre is forgettable. That’s why we are a factory direct supplier, with trusted factory relationships – both overseas and domestic – that span more than 30 years so we can maximize cost efficiency with sacrificing quality. When it comes to your race awards, let us provide you with the best of the best. Our race awards offers a wide array of options that we customize with everything from your logo to award category to event information. We merge function with fashion to elevate your race awards to the next level. Your medal is your racing event’s identity to the world – amidst a world of other so-so merchandise. Team up with our award-winning art department and we’ll guarantee a truly custom design that’s within your budget – from 3D molded medals, wood medals and locket medals, to spinners, LEDs, multi-piece and PVC medals, and products like bottle openers, wine stoppers and coasters. Our team is here for yours to decide on layout, shape, size, type and finish. 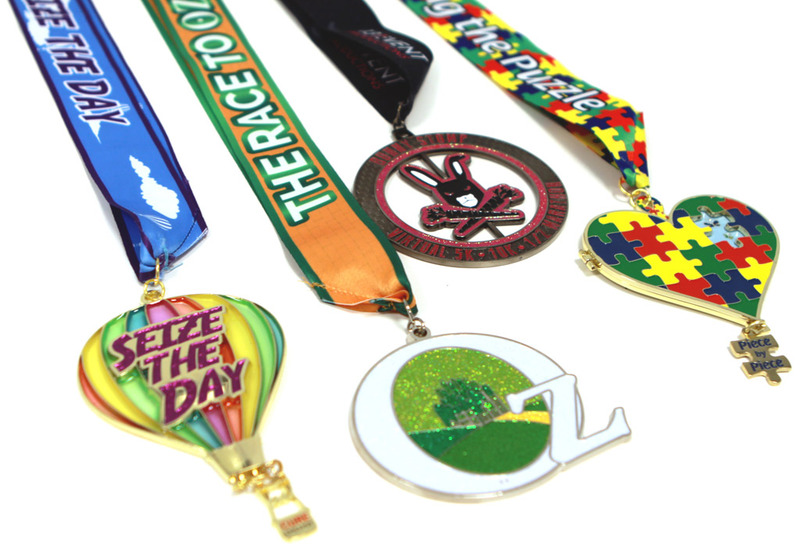 Our medals even include customized, sublimated ribbons – a finishing touch to enhance the design of your medal. We guarantee a truly custom design within your budget. From 3D molded medals, wood medals and locket medals, to spinners, LEDs, multi-piece and PVC medals, and products like bottle openers, wine stoppers and coasters, we have a wide array of custom medals for you to choose from. Our team will help you pick your layout, shape, size, type and finish. Our custom medals even include customized, sublimated ribbons – a bold touch to polish off your design! 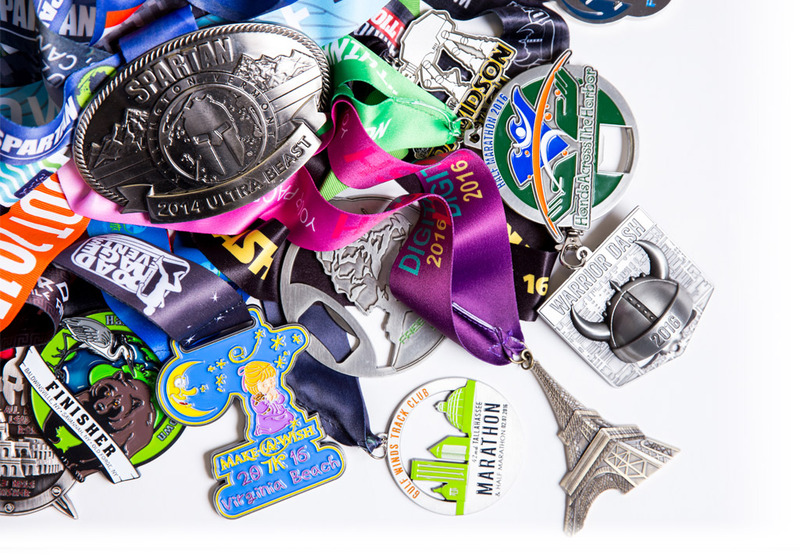 Our sales team will stay in stride with you through the entire finisher medal process – from your logo or idea to production and costs to delivery. We aim to please, and know you expect nothing less. We’re waiting for you at the finish line. Just click on Quote Request now to get started on a quote that works best for you and your event.